Capturing the vitality and style of the 1920s, this sparkling new production of Shakespeare's beloved comedy is certain to captivate audiences. With stylish costumes, a new score and Shakespeare's witty script, it is going to be a feast for eyes and ears. 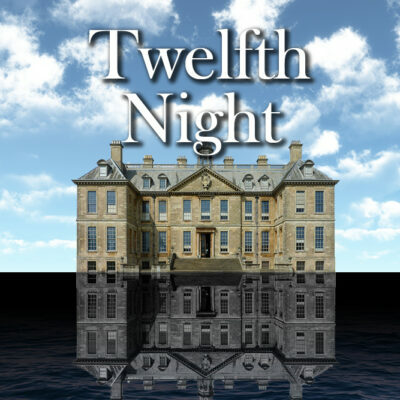 The company that has delighted local audiences in recent years with acclaimed productions of Much Ado About Nothing, King Lear and Pride and Prejudice returns once again to the gardens of Trinity College, in the heart of Oxford — the perfect setting for Shakespeare's tale of love, loss and misbehaving servants. With a production history dating over 60 years, Oxford Theatre Guild has staged some of the city's most memorable open-air performances, and this year's promises to be no exception. A Shakespearean classic in an Oxford college garden — not to be missed. This is an outdoor production, please dress warmly. Blankets are available for hire. Chairs with backs (no cushions) are provided. The performance will be on a raised stage. There is no lower age limit for attendance but parents are advised to accompany younger children. Babies in arms can be admitted without a ticket, as long as they do not require a seat. An alternative indoor venue with reduced capacity is available in the event of rain. Refunds or tickets for other nights will be offered to any audience members who cannot be accommodated. No picnics can be allowed in the garden but refreshments will be on sale on site.